Be a regular in the gym or outdoor sport, play in a team or by yourself, practice the sport you practice ... this is your collection. 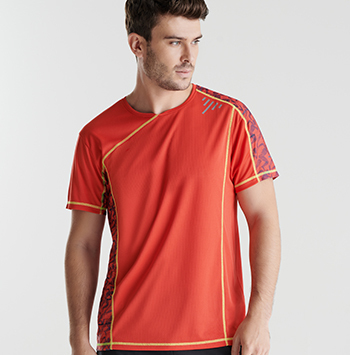 T-shirts, technical polo shirts, sportswear sets, windbreakers, sports pants and bags. Find everything you need in the Roly Sport collection and get fit. Do not give up anything while practicing your favorite sport. 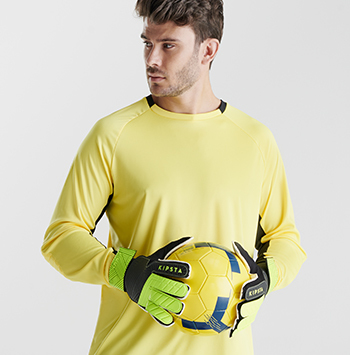 Keep your personal style with Roly sportswear, which combines comfort, design and technical characteristics. The king sport where the big teams are the sum of each of the players that integrate them. Find your colours and defend them on the field with Roly, a specialist brand in sport sets and accessories that will take you to the top. Designed to bring out the best version of yourself. 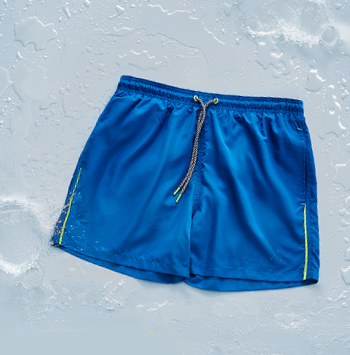 Whatever sport you practice there are Roly sports pants that fits your needs. Are you ready to reach the next level? Beat your best score with Roly. In High Tech you will find all those sport garments that have different technical improvements oriented to make more comfortable the practise of any physical activity. Undoubtedly the tracksuits are one of the most versatile garments that exist, and we know it in Roly. 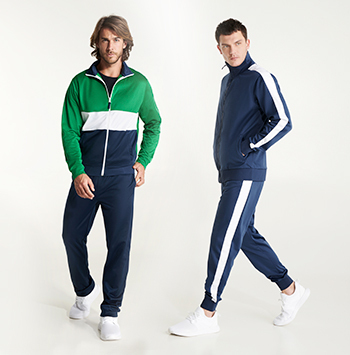 Find in our collection the tracksuit you are looking for, or combine them to create the one that best suits you. Do you fancy a bath? It does not matter if it's on the beach or in the pool. Live unique experiences and moments enjoying the water. Roly puts at your disposal a wide variety of swimsuits, you just have to choose yours. 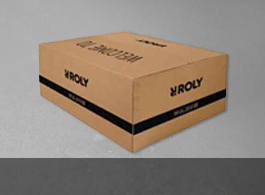 Do not miss any item in your sports practice, you will find options for everyone in Roly sport's novelties. Lastest designs, variety of colors, new technical fabrics, more breathable and comfortable, all to enjoy in your favorite sport.